Discover the unique connection between San Francisco and chocolate on this Original Gourmet Chocolate Tour. Since 2007, guests have raved over this 2.5 to 3-hour tasting and walking tour of San Francisco's best chocolate makers. On this top-rated tour you will learn about what makes fine chocolate and sample from a wide array of locally made chocolates. Your chocolate obsessed guide will fill you in on the history of chocolate, its health benefits and all the latest trends. On this 3-hour walking tour from the San Francisco waterfront, you'll taste your way to Union Square while seeing beautiful sights. Be sure to have room in your belly as you'll be stopping at 6 different chocolate boutiques to indulge in scrumptious and educational tastings. 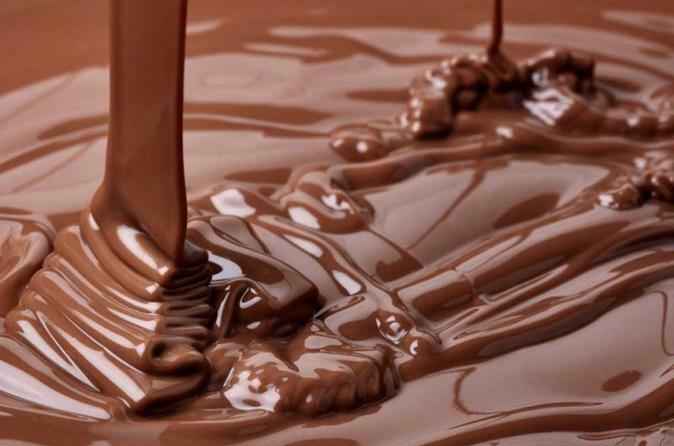 Along the way you will learn about chocolate production, health benefits and trends. All guests will receive a Chocolate Lover Card, with discounts and VIP treatment at 10 different local boutiques. Please note: Tasting locations are subject to change without notice. Most dietary restrictions can be accommodated.